We select and train our employees very thoroughly, because capable workers form the core of a successful team. Each of our employees are trained to think and act in the long-term best interests of our customer. And so, they often perform above and beyond the standard call-of-duty. 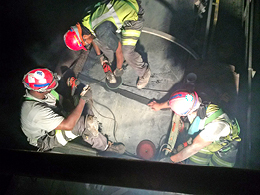 Prompt, reliable emergency service is all in a day’s work for ASGCO’s employees. And that’s any day you can name – Sunday’s, holidays, even Christmas. 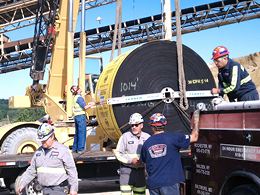 Whenever one of your key pieces of equipment goes down, you and your operation need help NOW. And that’s what ASGCO promises: “NOW” service. 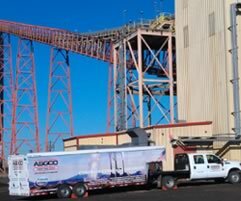 The significance of ensuring safety in the workplace has always been a priority of ASGCO – and their patented line of Conveyor Safety Equipment delivers safety, versatility as well as rock solid construction. Rubber, Ceramic, AR Steel, Overlay Plate, Stainless, Basalt, Tivar, etc. Accurately analyze the alignment of all the components and structure of the conveyor. We can then re-align the components to have a better running conveyor system. 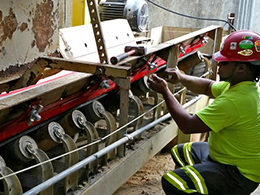 3-DEM and Flo-Control – engineering design, fabrication and installation services. 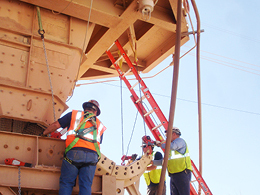 Services to improve and help eliminate dust in and around the conveyor systems through proper containment, suppression and collection systems. Installed in place on the conveyor system or at our shop. Designed to screen, sort and segregate material efficiently and quickly. The toughest, most versatile and efficient screens available. Designed specifically for your plant and needs. ASK US HOW!